Music added to Free Music, Qool DJ Marv and tagged A Cloud To The Back, Ancient City (rebuilt), Andy Hart, Bjork, Caribou, Compulsion, Could, Daffodils, Dali, Download, Elderbrook, Everybody Loves The Sunshine, Flowers & Sea Creatures, Free Music, Head First, History of Touches, Intro Interlude (1/2 way thru the mix, JP Source, Kan Sano, Lilacs, Lonely Wanderer, Luke Le Loup, Mark Ronson feat. Kevin Parker, Massive Attack, Merkin, Mermaids, MersteriouS, mix), Mixtape, Nina's Charm, NYCROPHONE, Op. 21: No. 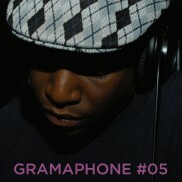 5, Osunlade, Panda Bear, Peacock, Podcast, Podomatic, Qool DJ Marv, Romare, Röyksopp, Sam Prekop, Schonefeld, Sergei Rachmaninoff, Silver, Skyward (original mix), Teardrop, The Sound (feat. Lisa Preston), Turkish Prison on March 30, 2015 by Hauke.